in Perryville. No other hunters may hunt this area but clients of Peninsula Hunting Services. Land of volcanos, fierce storms, and huge Brown Bears. Managed for years by the state to produce trophy Brown Bears, they have succeeded. 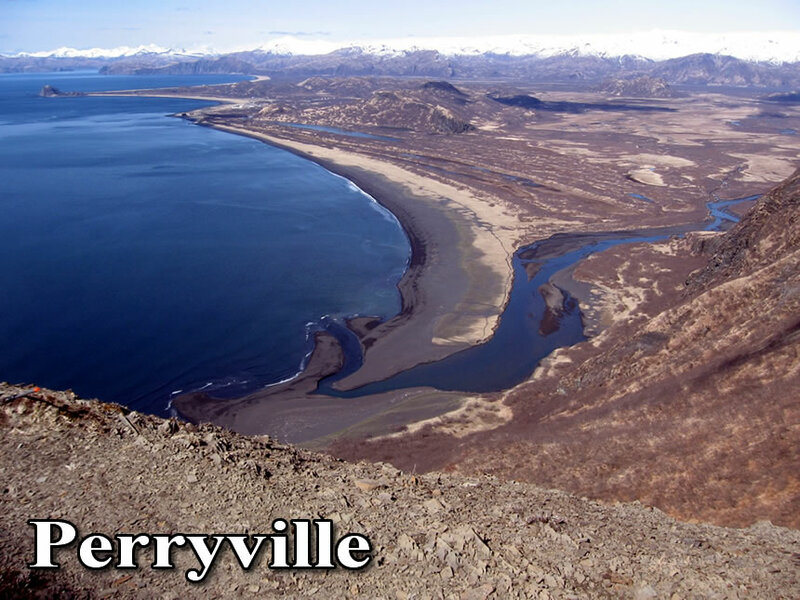 Nowhere else in the state has more Brown Bears than the Alaska Peninsula. 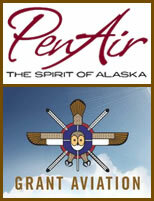 You will fly a daily commerical flight on Pen-Air from Anchorage to King Salmon and then Grant Avation from King Salmon to Perryville round trip. 550 miles southwest of Anchorage. We will meet you at the airport in Perryville. The fare for this flight averages $1,520.00. 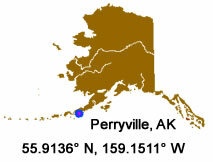 All food, lodging, transportation, and trophy preperation is included from Perryville. The Alaska Peninsula is in a maritime climate, which means increased precipitation and strong winds. Temperatures, both spring and fall, will have lows in the mid 30's and highs into the mid 40's. The main difference between spring and fall hunts is the amount of daylight. During the spring, the sun rises at 4a.m. and is dark by 11p.m. In the fall, the sun rises at 7a.m. and it's dark by 8p.m. Guided Hunts In Alaska With Registered Alaskan Hunting Guide Mark Kosbruk Sr.